After this round up post on how to get more traffic, a reader commented that Ana should consider buying traffic. AND YET, Ana sells (or used to sell!) banner advertising space on her blog. Direct response marketers have known this for decades. The right offer to a targeted audience is HIGHLY profitable. Best of all, this strategy allows you to control your business — for example, you’ll know that if you spend $1, you can make $1.45 (or whatever) back. 1. Go to social bookmarking sites like Delicious and XMarks. You want people who spend a long time on the page, who have read through the article, and are looking for, OK, what am I going to do next? Here’s a free ebook of this article. This article was written by Michael Alexis to help promote Mixergy. I never tried buying direct ads. Simply because I didn’t wanted to sige owners since it takes quite long time to deal with. But after reading this post I can image how much traffic can I fet from direct ads. Not my cup of tea either, Anup, but it does work. You and Ana are excellent teachers. Direct Media Buys is something else to add to my list of things to do. I have never paid for my traffic because I have heard of too many horror stories. But the stories could have come from people that had no idea what they were doing. To see for myself, I may test it out once I am more familiar with it and create a sound strategy. Michael, in-depth and much appreciated. At least I know that to do it right will take a little planing and effort. I just heard an interview with Google’s former poster boy for white hat SEO who makes a convincing argument that Google isn’t motivated to share its SERPs because it has its own products going forward. The take-home advice was to pay for advertising to get traffic. You make an excellent point: paid traffic must work for someone. I think Google is cornering many sites to do just that, Astro – pay for the same traffic they’ve been enjoying for free for years. I totally agree with that. It really seems like Google is moving toward becoming a paid search engine. I hope not.  There is just something especial about free traffic from SEO (of course its not technically free since you spend a lot of time and resources on ranking so you can get that “free” organic traffic) that I would hate to see it gone. I suppose that’s the nature of being completely dependent on a third party to bring us traffic, Satrap – they are the voice behind the throne. I am with you though; hopefully, SEO is here to stay, just change shapes. Great post Michael, and yes I tried buying traffic for couple of times, some went good but some went bad. And meaning bad, the traffic wasn’t targeted and that can make a huge impact on the business. And the money will be wasted, but again, I would recommend buying traffic since it will save you a time and will speed up your online presence and increase your user base. You just need to know how to convert them. Why do you have an aversion to paid traffic? I’ve done a few direct media buys and didn’t convert as I thought it would…then again, I didn’t test more than one product, which needs an updated sales page. I’d have to agree that it’s a viable traffic source (as I did get traffic), but will need to experiment further with various offers and landing pages. I like how you broke down your process (using Quantcast’s Ad Planner feature, for instance, is a new route I hadn’t thought of), even finding the targets leveraging XMarks, etc. One question, though – you mention using Google’s URL creator….when I clicked that link, Google suggested the tool needed to be “deprecated” or was otherwise phased out. When was the last time you used it? Seems they no longer support the tool. re: article – the advice and steps are courtesy of Ilya. I haven’t used URL builder. I remember when I asked Ana that question and was somewhat surprised at her response.. But since then I’ve tested out various paid traffic sources and have found success even with smaller far less expensive sources. In fact I even got a free ebook currently within the navigation menu of MSB listing many Paid Traffic Resources because I truly believe it is important enough for any netrepreneur to look into instead of a continuous cycle of “kneeling down to the Google gods” as I wrote in a recent post. One thing I will say concerning most of the paid traffic sources I’ve used so far is that they do not seem to convert well for blogs YET have been awesome for certain affiliate offers and squeeze pages! This is really an incisive and indepth information on buying direct traffic. My site is a micro niche site and i am working on SEO for organic traffic which i think is long term. I do think that buying traffic do have a lasting effect on blog or website. Another thing is the the consistency of the site where one is buying traffic.What happen if traffic drops on such site.That would defeat the purpose of buying traffic in the first place. My personal experience with paid traffic was a solid, “meh!”. I made a very slight profit overall, but never enough for the time I expended. But I absolutely acknowledge I went into it with less than a expert knowledge. You have some great tips here and I can see where driect medi buys would be the way to go, and perhaps quite a profitable endeavor when done properly. What didn’t work for you re: paid traffic? Would “scaling up” have helped? Hey HP – why do you use so many [i]tags[/i]? Just curious – it really stands out in the comments. Standing out is the point. I haven’t try direct media buy but after reading your step by step guide, I think I have to make it in my consideration. Thankyou so much for such an informative post. My pleasure Pete – have you tried other forms of paid advertising? This is completely new to me. I started to think about having paid traffic since I am desperate enough with my monthly traffic reports. Your post here is a great plan for me to take. When you first started thinking about paid traffic, what was the #1 option? I know about it along time ago, but I finally tried it in January. My firt concern was cost. I’ve tried link exchange membership … Not worthy. I’d like to try something such as adwords but cost is still my first consideration. Besides I am on progress to finish my first eBook. So I learn a lot from any recomendation like yours here in the post. You’re look at it, especially the relevance of direct media buys, is awesome. I’m not sure if it’s a move I want to make immediately or anything, but it’s planted seeds. Very interesting article Michael. Right now it’s a long shot for me to do this but it actually opened up my thoughts to running direct media ads for my SEO Hacker School. Will give you a heads-up once I do dive into this. Would love to hear about any results! Hi Michael, that is certainly a detailed look at how buying traffic works. I know a lot of people,(myself included) who do quite well with Google Adwords. Of course you can’t just “pop in” and expect any kind of recent ROI, you have to actually, you know, LEARN to use the system. How long have you been using adwords? Any tips to make it work for bloggers? Hi Folks! Buy traffic, buy twitter followers, buy facebook friends… the more you “look” celebrity, the more you “become” celebrity… ask Nicki Minaj! Nice detailed article Michael. I will also agree with Micah. I know a friend who makes more than 2K a month from Google ads… and that’s a result of creating hq content, nothing something like a great awesome strategy. I believe every strategy works for some people. It’s just you have to have the experience and become an expert in a specific strategy. This one here, can work best for you but not for me, another can work best for me but not good for you too either.. As for Google and penguin, it is how someone take things. If you want to play by the rules of Google you just do what they want you to do. I know people that are in the internet marketing business since 1998. Their old method still works. Easy and fast methods to produce money are never a success and I don’t believe anyone who tells me that. Thanks for sharing. Has your friend shared any tips for a profitable AdWords campaign? I have heard the term ‘Direct media buys…though, I guess I totally misunderstood the actual concept…. Nice tips, Michael. I’ve been using some of the second tier sources of PPC traffic but getting more direct might be a great idea. Thanks for the post. Thanks Kostas – when Ana and I discussed post topics, this one stood out as being “something new”. Glad it was useful. How are you promoting your blog now? Very interesting post, with great details. I have tried it, and with some success. I got traffic, but I believe that I didn’t plan the landing page right. So, in the end I didn’t get enough customers. Thanks – how much did you invest to get started? Why’d you stop? Really interesting and informative post, I haven’t tried Direct Media Buys but I did try Google Adwords. After reading your article, I understand how important role “direct media buy” can play in getting relevant and targeted traffic on your site even at lower cost. Thanks Aasma – what happened when you tried AdWords? I really cracks me up when people rag on PPC, it just shows they have no idea what they are talking about. The rest of your article may be spot on, but your comments on PPC are asinine. Have you tried buying direct? Look, I’m sure it works great, you obviously put a lot of time and effort into making it work for you. Awesome. And if that’s what works for you, well more power to ya. It may even be a better option than PPC for a lot of people. But to make a broad sweeping statement like “Google ads are for big brands. They are a waste of time and money for bloggers and entrepreneurs.” is absurd. I just don’t understand why some bloggers and marketers feel the need to bash one option in order to promote another. I mean it’s not like the two are mutually exclusive. You do need to have more than one source of leads. You may have written a great article, you gave resources and even e-mail templates. You just didn’t have to alienate everyone who actually uses PPC to do it. It sounds like PPC is not a waste of time and money for you. But with finite resources for marketing, it seems incredibly wasteful to pay Google. With direct buys you can lock in a price and not have to worry about getting outbid for position, etc. What did you use PPC for? How’d it go? It might be a common misconception among bloggers, Micah, but I am with Michael on this one. Maybe it’s because, even though I did a lot of research on how to use AdWords in the past, I never actually used it. The Quantcast tool is VERY cool, and as I mentioned in the article: the “building a list of targeted sites” steps could work for getting your guest posts in the right place as well. What I meant about the “Penguin”, is all these changes that are being done by Google with their algorithms. Before it was Panda, now Penguin, and then.. who knows some other “cute” bird from the zoo 🙂 These changes caused many sites to loose traffic and “paid traffic” is a great alternative, if you have the budget. I think it gives me fantastic insight for when I’m approached by a direct buyer. Currently, I don’t see a need for me to buy ad space with someone else. It takes time and testing to get a good ad an then after a while you have to test again because a banner can get ‘tired’. You laid out a solid step-by-step process for those interesting in persuing this route. That makes this a reference page if I ever do need this information. My pleasure – I noticed that you commented on Chris Guillebeau’s recent IWTYTBR post as well. Since you already have a product (e-book) – buying targeted traffic may be the way to make it super profitable. Michael, that is a great idea! I had decided to skip adwords because the topic is one they sometimes give people a hard time over (health related). But a direct media buy would probably work a lot better – especially on the right site. Thanks for the prompt – that is a great idea. For sure. Cut out the middleman (AdWords) and build a profitable campaign. I think the best parts of direct media buys are a) you can start really small and see results, and b) once you find something that works it is very scalable (you don’t have to worry about being outbid for the adspace that is working).